The CoM-TC comes equipped with the IntelR EG20T I/O controller hub and a Realtek RTL8211CL Gigabit Ethernet to meet communications and networking requirements. CoM-TC has onboard system memory, eliminating the need to add a memory module, providing a more cost effective and rugged solution. For storage options, CoM-TC offers two SATA 3.0 Gb/s ports, one PATA, and an optional onboard SSD. The onboard SSD furthers the simplification, cost reduction, and ruggedness of the system design by eliminating the need to add storage media to the system. The CoM-TC comes equipped with the IntelR EG20T I/O controller hub and a Realtek RTL8211CL Gigabit Ethernet to meet communications and networking requirements. 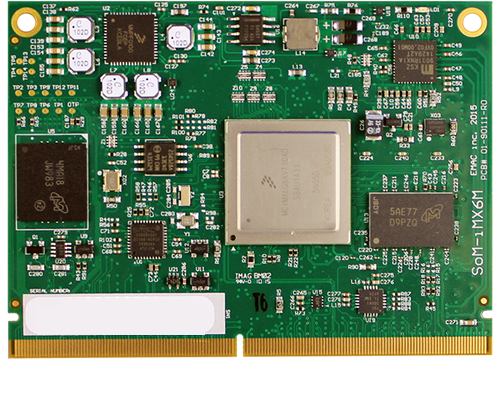 CoM-TC has onboard system memory, eliminating the need to add a memory module, providing a more cost effective and rugged solution. For storage options, CoM-TC offers two SATA 3.0 Gb/s ports, one PATA, and an optional onboard SSD. The onboard SSD furthers the simplification, cost reduction, and ruggedness of the system design by eliminating the need to add storage media to the system. Moreover, seven USB2.0 ports are supported to allow flexibility in the use of external devices and peripherals. 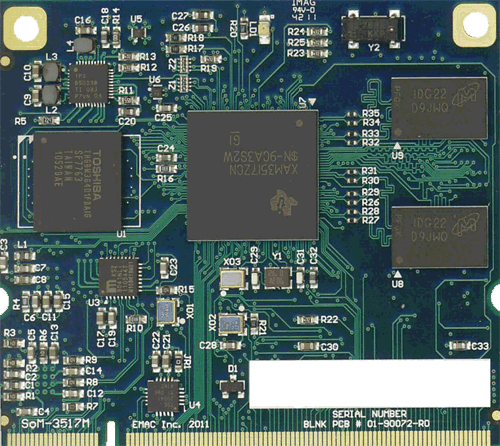 In addition, there is a 4-bit SDIO as well as two PCI-Express [x1], one LPC Bus, and one SMBus interface for I/O and expansion on the carrier board. 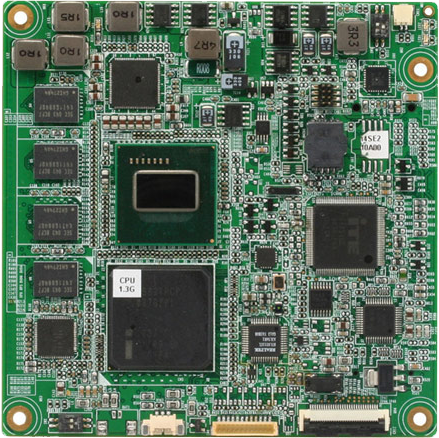 The integrated graphics controller supports LVDS/SDVO independent display and includes 2D and 3D acceleration in addition to video MPEG4, H.264, and H.263 decode and encode.